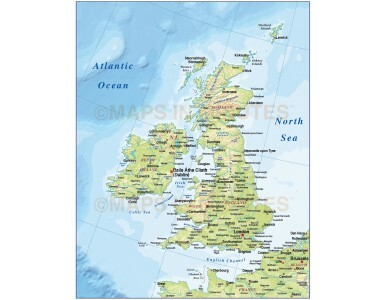 Royalty free, small scale, fully layered, 100% editable British Isles Regular contour Relief map @4,000,000 scale. Available in a choice of either Illustrator CS1 or editable PDF formats. Placed (linked) tiff regular contour colour relief background at 300dpi. EZRead text is editable font text. Small scale, up-to-date, detailed, 100% editable layered vector map. Suitable for use from A4 to A3. All EZRead text is editable font text. 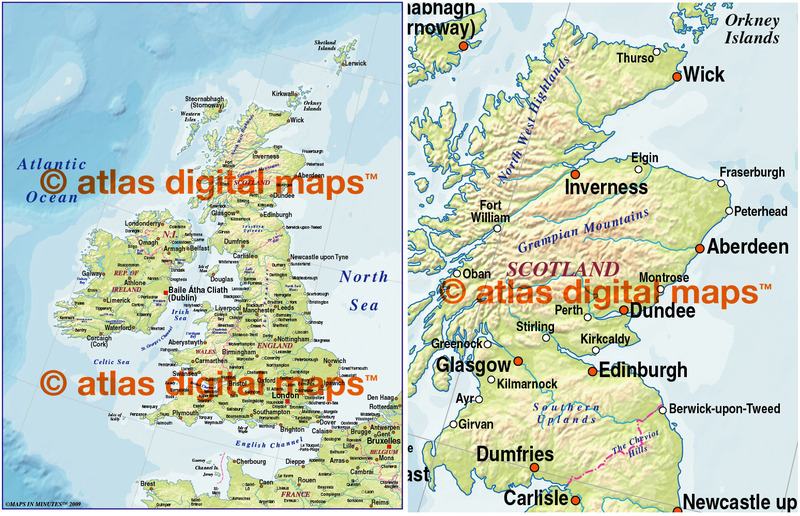 Projection does not match Ordnance Survey data and co-ordinates. 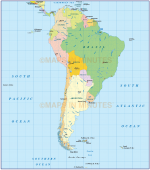 Contains Country boundaries and fills so can be used as either a political map, a relief map or a combination of both. Layers include: Coastlines, country boundaries, capital cities and major settlements. Physical features include rivers, lakes, island names, mountain ranges, bay and headland names. Product includes a high resolution 300dpi relief background in regular contour colours as a placed (linked) tiff . Authors notes: This quality map is updated for 2013. It is in Lamberts Conical projection which will not match Ordnance Survey co-ordinates and data. Buy today and use immediately. 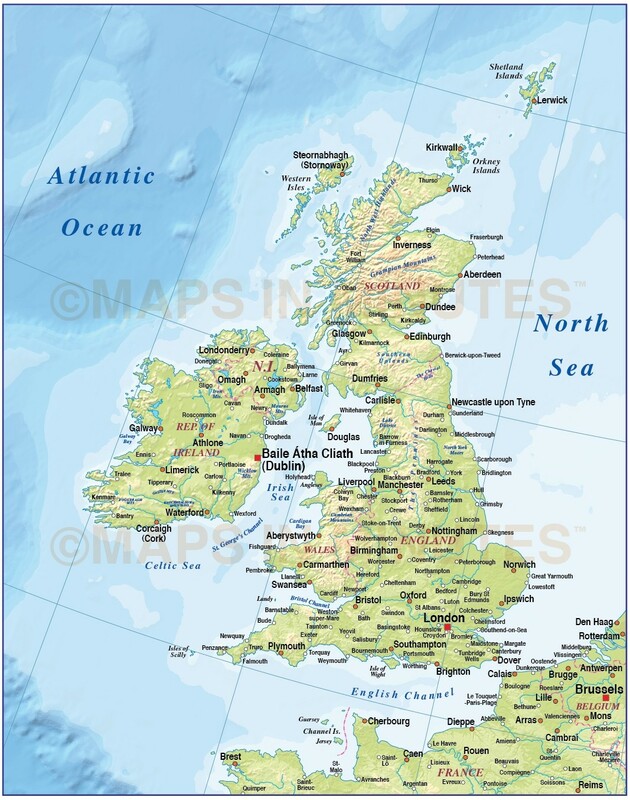 Also available are sets of British Isles maps, please see our British Isles Map Collections category.